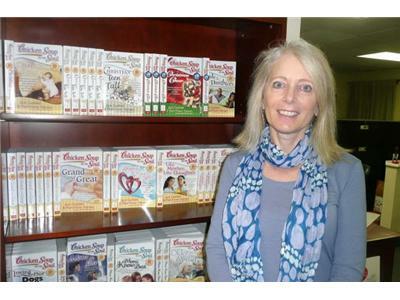 Amy Newmark is the publisher, editor, and author of the mega-successful Chicken Soup for the Soul and the series of books that followed. Amy took over the company roughly 5 years ago and have carried the torch of positive thought, healthy living, family, and so much more. Amy and co. are no celebrating 20 years of amazing success and she was on to discuss the impact and influence of the book and what they're doing now to grow even more. Amy Newmark has led a successful 30-year career as a writer, speaker, financial analyst and business executive in the worlds of finance and telecommunications. Most recently, Newmark has teamed up with one of the most successful book series of all time – Chicken Soup for the Soul® – as publisher, author and editor. 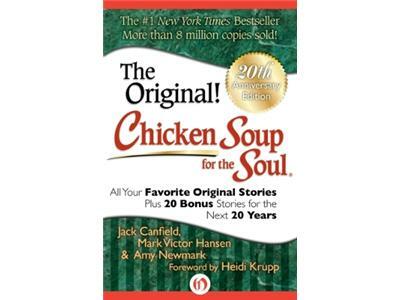 Since its first release in 1993, the Chicken Soup for the Soul series has sold more than 112 million copies in the US and Canada alone, with almost 200 titles and 40 languages. The brand holds a place in The Guinness Book of World Records for having the most books on the New York Times bestseller list at one time, and in 2007, USA Today named Chicken Soup for the Soul one of the five most memorable and impactful books of the last quarter century. Today, Newmark is working to deliver the Chicken Soup for the Soul message of hope and inspiration all over the world.